Some residents of Stark County, OH prefer renting equipment and pressure washing their homes themselves. They think that going the DIY route is easier and cheaper compared to paying for pressure washing services in Stark County, Ohio. However, hiring a company that offers pressure washing services in Stark County, Ohio offers various benefits to property owners. Your home’s exterior is the first thing people see when they visit. Apart from making your property stand out, an attractive exterior can increase the value of your property. With pressure washing services, Stark County, Ohio residents like you can boost your house’s curb appeal. Pressure washing services in Stark County, Ohio remove dirt, dust, and mold from siding, roofs, fences, and more. By removing caked-on grime and stains, pressure washing services in Stark County, Ohio help your property look clean and new. If you are looking for professionals who specialize in pressure washing services in Stark County, Ohio, contact Wilhelm Power Washing today. 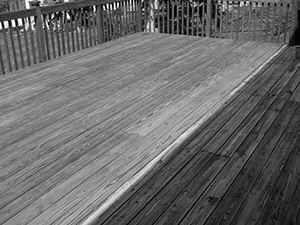 With our pressure washing services in Stark Country, Ohio, we can spruce up various areas in your property such as driveways, walkways, garage floors, patios, gutters, and decks. Your roof may become breeding grounds for algae and bacteria if not properly maintained. Unsightly stains and mold may develop with constant rains. For extra care for your roof, you need pressure washing services in Stark County, Ohio. Our company provides various pressure washing services in Stark County, Ohio, including mold and stain removal, that can make your roof appear brand new. Dirt, mildew, or debris may accumulate in your property’s gutters and on its walls. If left unattended, these contaminants may damage your property. Pressure washing services in Stark County, Ohio can get rid of them to preserve your property. Since your home is made of many types of building materials, it is advisable to contact professionals who provide pressure washing services in Stark County, Ohio. Wilhelm Power Washing is experienced in pressure cleaning many types of exterior surfaces, from vinyl siding to concrete retaining walls. We will thoroughly clean the outside of your property without causing damage. Our pressure washing services in Stark County, Ohio can help you preserve your property and save money on house repairs. Pressure washing services in Stark County, Ohio can sometimes involve chemicals that are harmful to nature. At Wilhelm Power Washing, we care for the environment. Our company uses safe chemicals for pressure washing services in Stark County, Ohio. These biodegradable chemicals will also prevent molds from forming after we are done with pressure washing services in Stark County, Ohio. When it comes to pressure washing services in Stark County, Ohio, go for a company that values your hard-earned money. Some pressure washing service providers may offer relatively low rates. However, they may employ inexperienced pressure washer workers who may end up damaging your property, leaving broken windows or spotty siding once they’re done with the job. Our company invests in training our employees, who pay close attention to detail in every assignment to ensure customer satisfaction. You can be confident that each member of our team is professional, knowledgeable, and hardworking. Do you need to boost your curb appeal? Call our company today at 330-477-7094 to ask for quotes on our pressure washing services in Stark County, Ohio. To learn more about what we offer, including pressure washing services, Stark County, Ohio residents may also text us at (330) 477-7094. Additionally you may email us at dwilh51183@yahoo.com to schedule an appointment for pressure washing services in Stark County, Ohio. After a few years, the paint on your home will start looking dull. You can trust Wilhelm Power Washing to restore the vibrancy of your home with our painting services. We Offer Discounts and Coupons! In addition to offering our exceptional services at competitive prices, we also provide extra services—such as quality cleaning out your gutters—for free! However, if that’s not enough, you can visit our website and use the coupons and specials that we’ve put up.